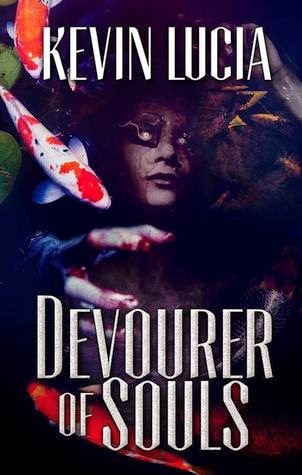 Devourer of Souls by Kevin Lucia is available at Amazon, Barnes and Noble, and BooksAMillion. This is the second book about Clifton Heights. I reviewed the first one, Things Slip Through, and you can see the review here. An ancient game of chance and Fate. One boy's smoldering hate, another boy's need to make things right, and a father's ghosts of Vietnam past. These are the key players in this latest tale of revenge and reparation performed on the stage of the strange Adirondack town of Clifton Heights, NY. Tahawus is a small, isolated Adirondack town just north of Clifton Heights. A quiet place filled with simple people of an ardent faith, nothing much ever happens there...until the man in yellow comes calling. He knows your worst nightmares, and he can offer your fondest wish. All you need is faith...and a mouth from which to scream. Remember how Stephen King originally released The Green Mile as a serial novel? Lucia is basically doing that. He's building the world of Clifton Heights in segments that are also reminiscent of both Alfred Hitchcock Presents, in the tone/psychology of the stories, and The Twilight Zone, in the way that the stories are doled out - all these short stories are complete in and of themselves but, collectively, work together to build this world where anything can happen. But I have no idea where the overall story is going or what Lucia's planning and that's half the fun. Once I turn the last page and start thinking about the bigger picture, I can imagine anything and I have no idea if I'm right or wrong in my assumptions. I have to wait for Lucia to clue me in. He can throw any subject he wants at me. Psychodrama, splatter-plunk, supernatural horror, paranormal romance. Lovecraftian monsters, aliens, fairies, serial killers, worms holes, ghosts, cryptozoological creatures, demonic possession. I won't be surprised; I expect it. Like The Twilight Zone and Stephen King's Maine - anything can happen in Clifton Heights and I won't know what until I tune in to the next installment. I'm biased. I've followed Kevin Lucia for years now and I received a free copy of this book in exchange for a review, probably because of that bias, but I follow Lucia because I enjoy what he does. I look forward to future Clifton Heights stories.